The government, worker and employer delegates at the 100th annual Conference of the International Labour Organization (ILO) on Thursday June 16 adopted a historic set of international standards aimed at improving the working conditions of tens of millions of domestic workers worldwide. Conference delegates adopted the Convention on Domestic Workers (2011) by a vote of 396 to 16, with 63 abstentions and the accompanying Recommendation by a vote of 434 to 8, with 42 abstentions. The ILO is the only tripartite organization of the UN, and each of its 183 Member States is represented by two government delegates and one employer and one worker delegate, with an independent vote. The two standards will be the 189th Convention and the supplementing 201st Recommendation adopted by the labour Organization since it was created in 1919. The Convention is an international treaty that is binding on Member States that ratify it, while the Recommendation provides more detailed guidance on how to apply the Convention. The new ILO standards set out that domestic workers around the world who care for families and households, must have the same basic labour rights as those available to other workers: reasonable hours of work, weekly rest of at least 24 consecutive hours, a limit on in-kind payment, clear information on terms and conditions of employment, as well as respect for fundamental principles and rights at work including among others freedom of association and the right to collective bargaining. Recent ILO estimates based on national surveys and censuses of 117 countries place the number of domestic workers at a minimum of 53 million, but experts say there could be 100 million in the world, considering that this kind of work is often hidden and unregistered. 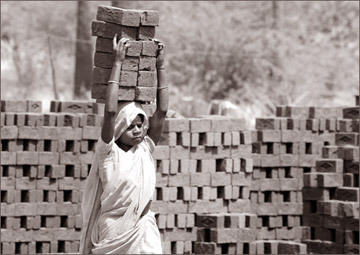 In developing countries, they make up at least 4 to 12 percent of wage employment. 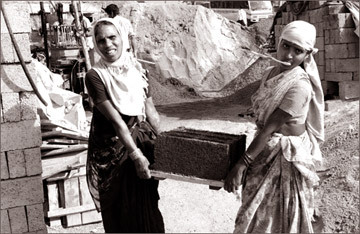 Around 83 percent of these workers are women or girls and many are migrant workers. The Convention defines domestic work as work performed in or for a household or households. While the new instruments cover all domestic workers, they provide for special measures to protect those workers who, because of their young age or nationality or live-in status, may be exposed to additional risks relative to their peers, among others. According to ILO proceedings, the new Convention will come into force after two countries have ratified it. “Bringing the domestic workers into the fold of our values is a strong move, for them and for all workers who aspire to decent work, but it also has strong implications for migration and of course for gender equality,” Somavia said. Executive Director of UN Women Michelle Bachelet in her address to the Conference Committee, said that the deficit of decent work among domestic workers “can no longer be tolerated,” adding that UN Women would support the process of ratification and application of the new ILO instruments. “We need effective and binding standards to provide decent work to our domestic workers, a clear framework to guide governments, employers and workers,” said Halimah Yacob, the Workers Vice-Chair from Singapore. She noted that the collective responsibility was to provide domestic workers with what they lacked most: recognition as workers; and respect and dignity as human beings. Paul MacKay from New Zealand, the Employers Vice-Chair declared: “We all agree on the importance of bringing domestic work into the mainstream and responding to serious human rights concerns. All employers agree there are opportunities to do better by domestic workers and the households and families for whom they work”. “Social dialogue has found its reflection in the results achieved here,” concluded the Chair of the Committee, H.L. Cacdac, Government delegate from the Philippines, when he closed the discussion. “This is a truly major achievement,” said Manuela Tomei, Director of the ILO’s Conditions of Work and Employment Programme, calling the new standards “robust, yet flexible.” Tomei added that the new standards make clear that “domestic workers are neither servants nor ‘members of the family’, but workers. And after today they can no longer be considered second-class workers.” The adoption of the new standards is the result of a decision taken in March 2008 by the ILO Governing Body to place the elaboration of an instrument on the agenda of the Conference. In 2010, the Conference held its first discussion and decided to proceed with the drafting of a Convention supplemented by a Recommendation adopted today.